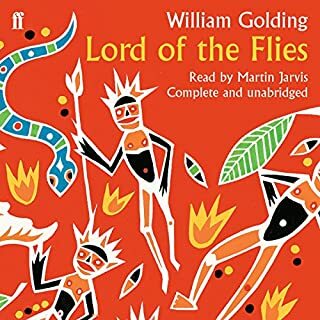 I really enjoyed the story, but the narrators version of the mother's voice gave me a headache. Very high pitched louder than the others and gave me a headache. 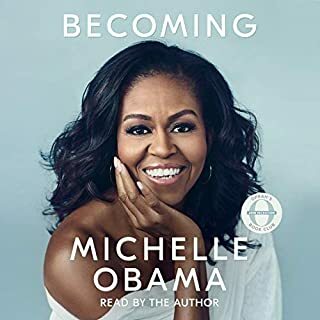 Took me a few different sitting to get through this just because I couldn't stand the mother voice. 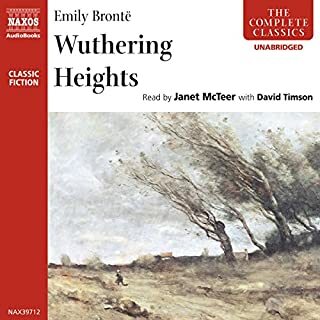 The narrator starts out enthusiastically, delivering an excited Mrs. Bennet at the prospect of an aristocrat moving to her town and maybe some day marrying one of her daughters. But then all of the characters' lines are delivered with almost the same enthusiasm throughout the book. You'd think that Jane Austen ended every other sentence with an exclamation mark. I'm not a huge fan. Love this story! I come back to it when I want to take a break from new material or a different book. 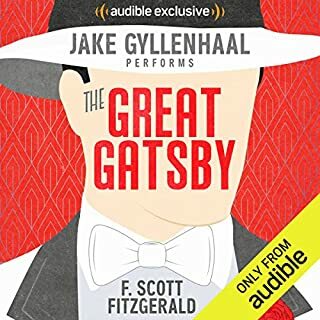 I bought it from Audible three different times with different narrators, and this version is the best. Not to be reductive of a very important book, but this provides the storylines for every single romantic comedy and high school drama ever made. The characters are very compelling. There are far too many great scenes to say there was one best, but one of the most memorable was Mr. Collins' proposal to Elizabeth Bennet. Her refusal and his mental contortions to make himself believe that she really wasn't saying no was hilarious. No tears yet, but plenty of laughter. Mrs. Bennet and Mr. Collins are both perfect comic relief. 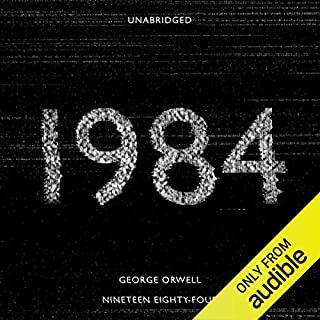 Audiobooks aren't a replacement for reading obviously, but at their best they can bring those books to life in interesting ways. Emma Messenger manages to do that with Pride and Prejudice beautifully. The depth and timbre of her voice make the listen a true pleasure. Even more than her voice, however, is her voice acting which makes the fascinating characters of the novel truly come to life. Her shrill, loud Mrs. Bennet helps bring out all the comic awfulness of her personality. Even better, in my mind, was the self-important harrumphing of Mr. Collins. The deep, dramatic breaths she would give him before every mention of Lady Catherine de Bourgh truly brought to life the ridiculousness of his character. 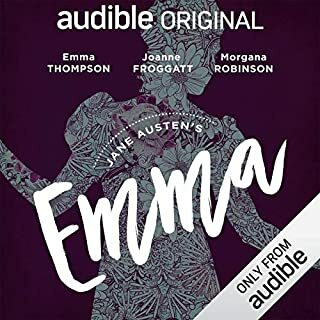 Emma Messenger is quickly becoming one of my favorite readers and I hope she continues to read titles for Audible.com. 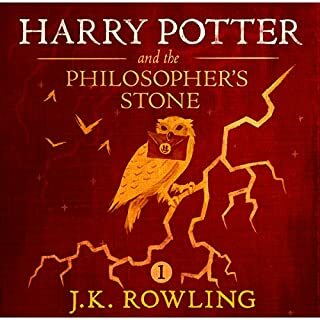 Emma Messanger gives an extremely, entertaining narration of this incredible book. Very lovely voice and dramatic inflection. I have read Pride and Prejudice multiple times and thought this portrayal was spot on- Emma Messenger really captures the characters with the different voices she does. The voice used for Mrs. Bennett in particular was just perfect. Which character – as performed by Emma Messenger – was your favorite? My favorite character in the book is Elizabeth Bennett- a strong, opinionated and confident woman. 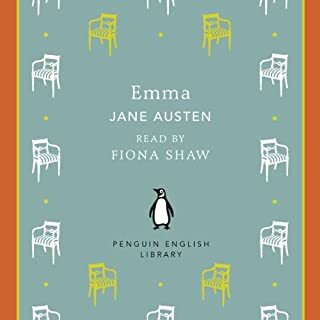 But while Mrs. Bennett is an obnoxious woman, Emmas portrayal was so perfect it made me actually enjoy hearing all the foolish things she says. 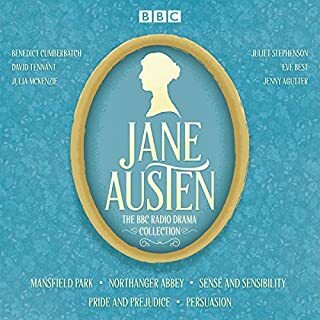 This is my favorite book and having the audio edition to listen to while I work out is great-- I highly recommend this particular version because it really gives you the full Pride and Prejudice experience. That Pride and Prejudice is wonderful is not news. Anyone who appreciates novels of wit, intelligence, and manners has probably encountered it already. 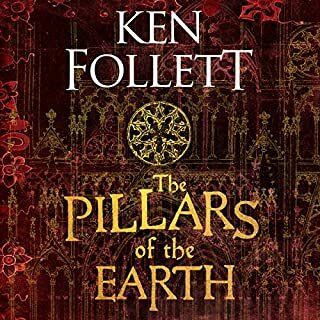 I'm writing this review to comment upon the narration which unfortunately was not up to the standards of the novel. It was often difficult to tell minor characters apart. For example the two Bingley sisters sounded almost the same and in rapid-fire dialog it was impossible to discern who was talking. 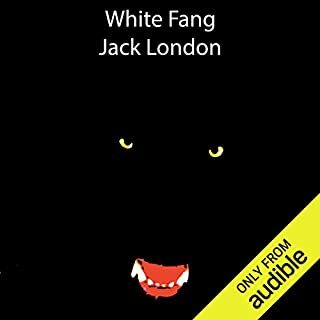 Although the narrator was quite good conveying enthusiasm and animation, she fell into an unfortunate pattern when reading straight descriptions. Every sentence began to sound just like the last as her voice rose and fell in the same way from line to line. Also, this should be marked as an abridged copy. Or perhaps it is simply very badly proofed. At one point I was having trouble following fast dialogue and picked up the book to get a handle on who was talking. That is when I discovered the narrator would omit occasional words (such as, "said Mr. Bingley"). This is inexcusable. If I'd have picked this up from LibriVox as the work of a talented amateur it would have been fine. 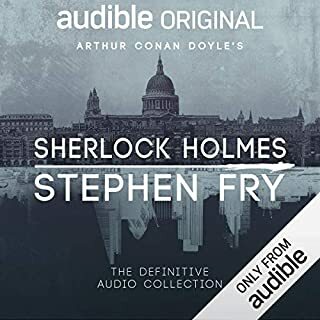 As something offered from Audible it is reprehensible. Only the extreme low cost offsets the many flaws. And even then one is not sure that is enough to excuse it. Highly recommended, a really good book. Yes, I will probably. 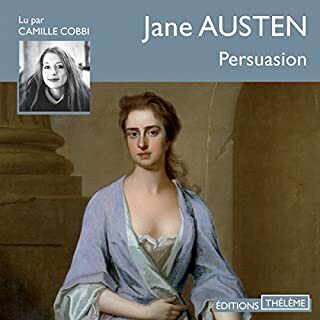 The reader reads very well and her voice is pleasant to listen to. This has and always will be one of the classic love stories..And Emma Messenger's narration made it even better! 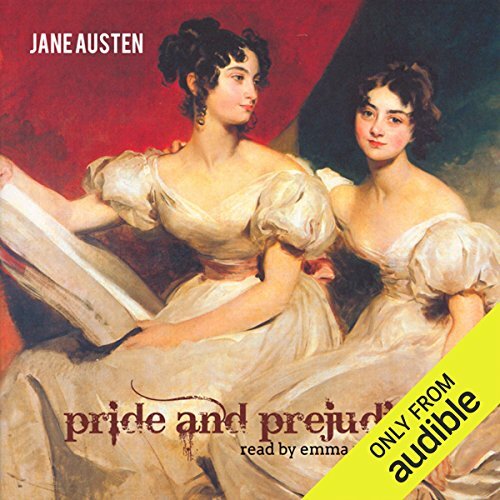 Almost everyone has read Pride and Prejudice, so why should you buy this audiobook? Buy it for Emma Messenger. She's done a superb, superb job. Great vocal modulation, a warm, easy style, and the characters really come alive. Recommended. Emma Messenger is awesome. Always loved Pride and Prejudice but she brought it to life. Well, Jane Austen's "pride and prejudice" is a timeless classic. 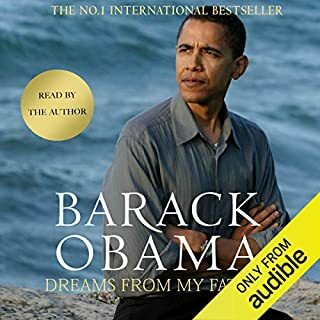 So, there is not really a point of discussing the content of this audiobook. 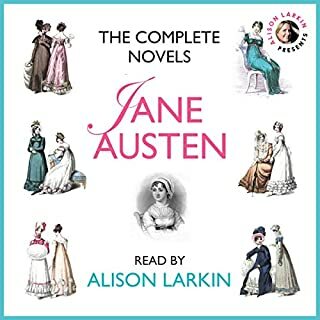 When it comes to Jane Austen, everyone seems to have their own mind and ideas what makes her stories so special, timeless and worth keeping canonical. 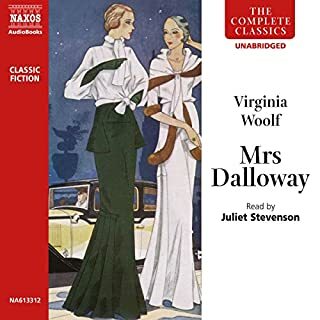 For me, it is the way the reader gets lured into the world and point of view of family B by the narrator...and consequently, has to realize that he or she, the reader himself, is guilty of pride and prejudice. And this is exactly what Emma Messenger's reading conveys. 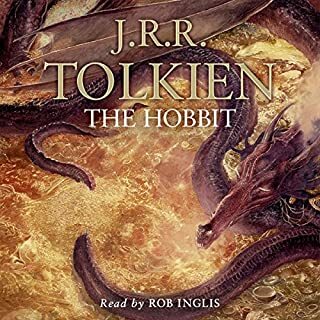 While some characters appear to be read rather shrill and unbearable you soon grow to love them, their quirks, their whimsical ideas and voices - just to realize at the end that you had it right from the beginning. Get yourselves a big hot cuppa tea, get comfy in your favorite chair and wrapped in a nice blanket and enjoy 14 hours of hoping, fearing, sympathy and, ultimately, questioning your own character. A beautiful story. I love the deep inside in character and thoughts, expressed amazingly catchy in words. The intonation of the speaker is very real and perfect. Auf welchen Platz würden Sie Pride And Prejudice auf Ihrer Hörbuch-Bestenliste setzen? Wie hat Ihnen Emma Messenger als Sprecher gefallen? Warum? Emma Messenger differenziert die vielen Personen für mich ausreichend gut. 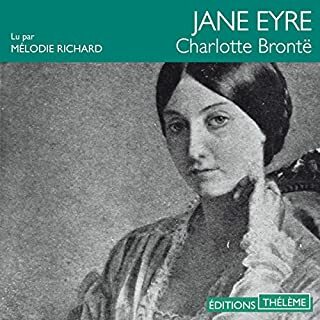 Außergewöhnlich gut und schrill spricht sie Mrs. Bennet: dies finde ich ihrem Charakter sehr angemessen. Ebenfalls wunderbar finde ich stimmliche Charakterisierung von Mr. Collins. Beim Hören habe ich mir mehrfach gewünscht, Jane Austen hätte mehr Dialoge mit Mrs. Bennet und mit Mr. Collins geschrieben. Mit hat es sehr geholfen, die Hörproben von verschiedenen Sprechern zu hören. Mein erster Eindruck, dass Emma Messenger die Ironie des Romanes angemessen umsetzt, hat sich mehr als bestätigt. Ich mag es, immer wieder mal in diese Lesung reinzuhören. Die Sprecherin macht hier aber aus einem Text, der so leicht und locker ist wie ein fluffiges Soufflé, einen pampigen Erbseneintopf. Sie trägt den federleichten Text vor wie ein Kinderbuch für Vorschulkinder. Die Charaktere sind vollkommen überzeichnet, Mrs Bennets Kreischen ist kaum zu ertragen. Schade. Gerade dieses Buch hätte einen besseren Vortrag verdient.